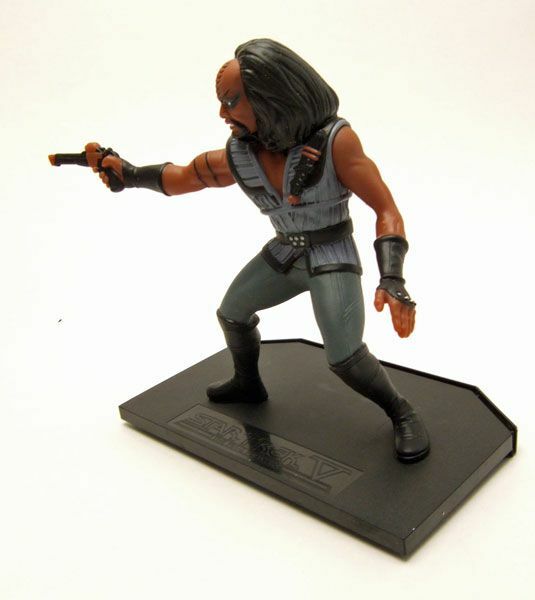 Galoob released Klaa as part of their boxed assortment of "Star Trek V: The Final Frontier" ummm... action figures? 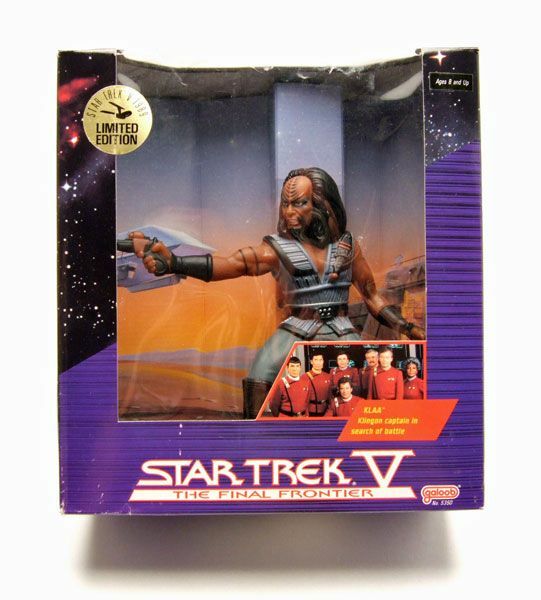 The Rundown: Yup, it's that time again- Time for another Galoob Star Trek V spotlight. Yay. Can't wait to talk about one of these guys again. Yawn. Have I mentioned that I hate this line? Because I do. I feel ashamed having even bought these. Anyways....Klaa! Okay, maybe I'm giving Klaa a bit of a hard time though. He's definitely the best of the bunch. 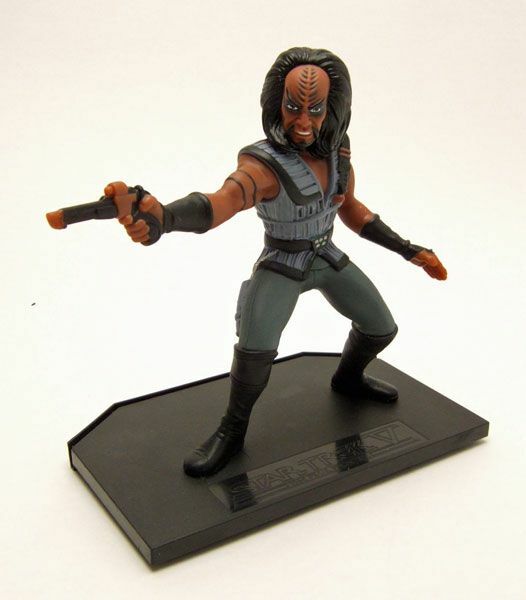 The head features a pretty decent sculpt, although it doesn't resemble Klaa all that much. 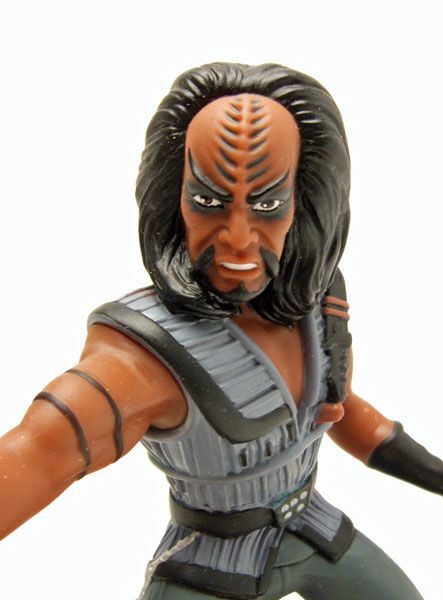 It's a pretty good representation of a Klingon sneer though and the forehead ridges are done pretty well. 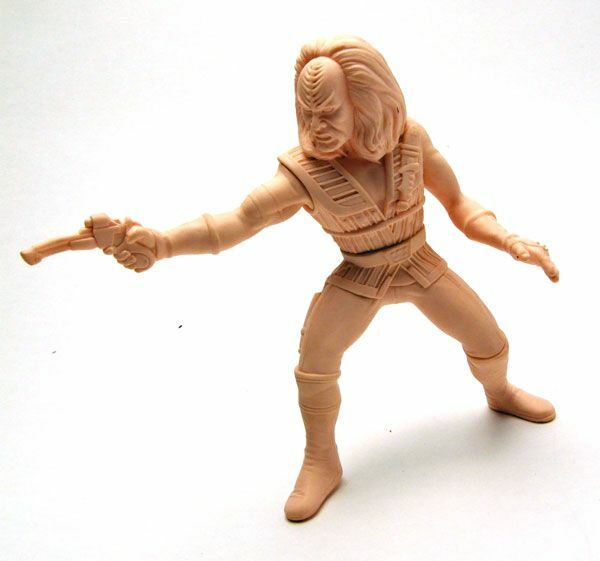 The body sculpt too, though unarticulated, isn't all that bad. There's an okay amount of detailing, and the paint is actually decent. 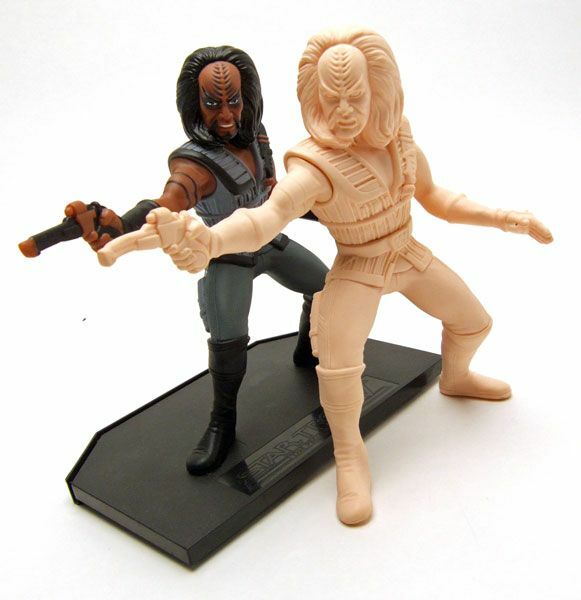 I'm still not willing to say the figure is good, but Klaa is definitely the fresh peanut in the turd that is the Galoob Star Trek V line. 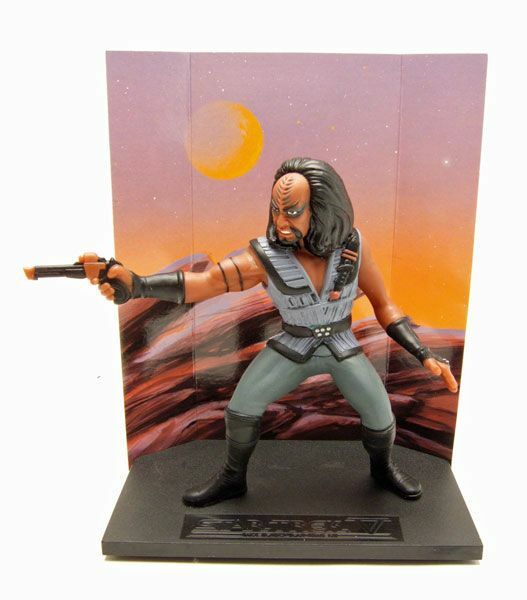 Accessories: Like all the Star Trek V figures, Klaa has no accessories except a cardboard backdrop that sticks in his base. 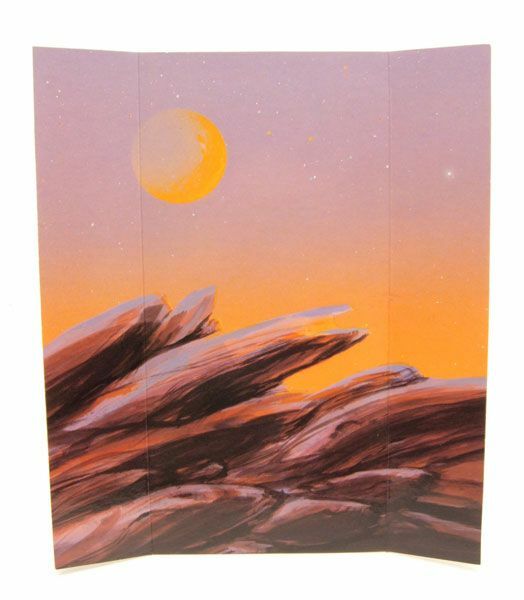 The cardboard backdrops are the highlight of the line. Yes, it's that bad. Did you think it was over? No, it's not over! Look what I found while rummaging through some old stuff I'd left at my parent's house: a test shot prototype of Klaa! You can actually get a pretty good look at the detail on the head sculpt on this test shot version. Not so bad... but still not that great. It goes to show how much this line stinks if I totally forget that I own a prototype from it. 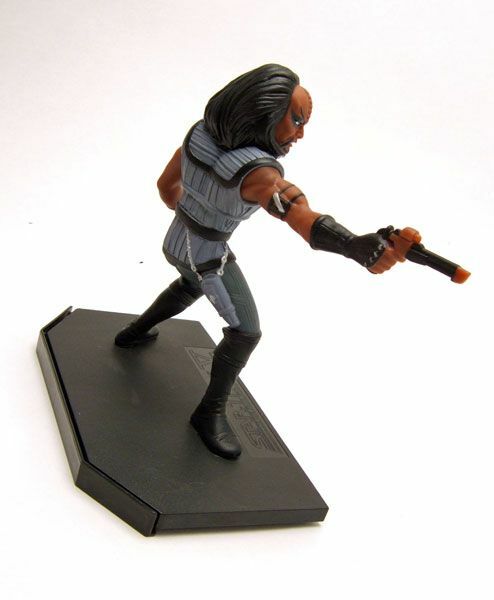 If you are an absolute Klingon maniac that has to own everything involving the Klingons AND you can get this for like $5, then he MIGHT be worth it. Maybe. Otherwise, avoid this line like the plague.... And I still have 2 more figures from this line to go. Ugh. I actually feel bad for anyone that made it all the way through this spotlight today. 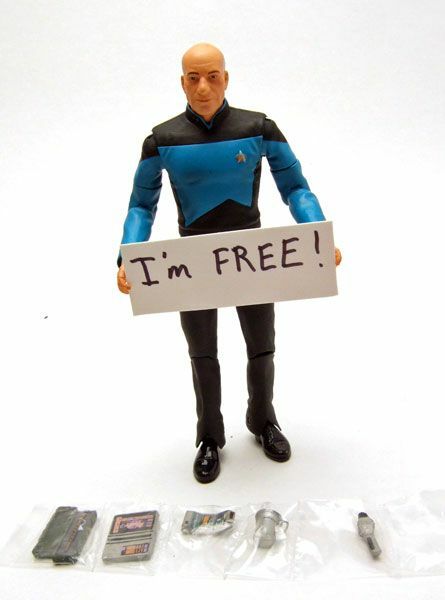 As a way of saying thanks, I'm going to give somebody a free bagged DST Tapestry Picard figure. This is the one that you could only through the Q Collective DVD mailaway offer. 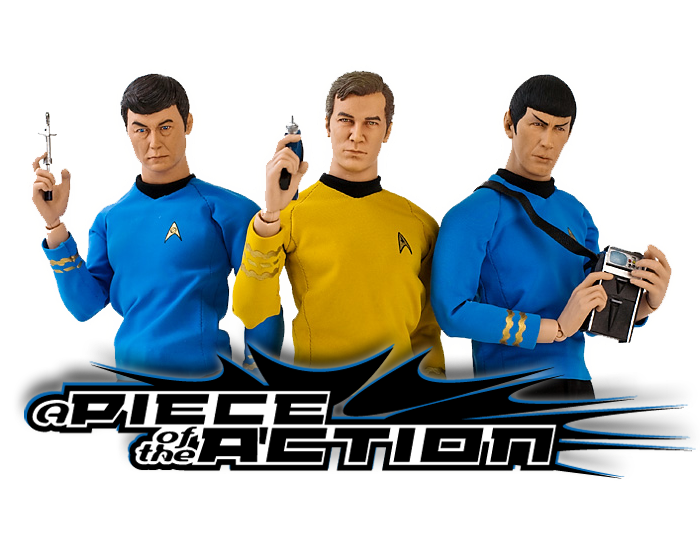 And before you ask- yes, I know that's a TNG figure sneaking his way onto my TOS-centric blog. No, I'm not moving onto the later Treks... 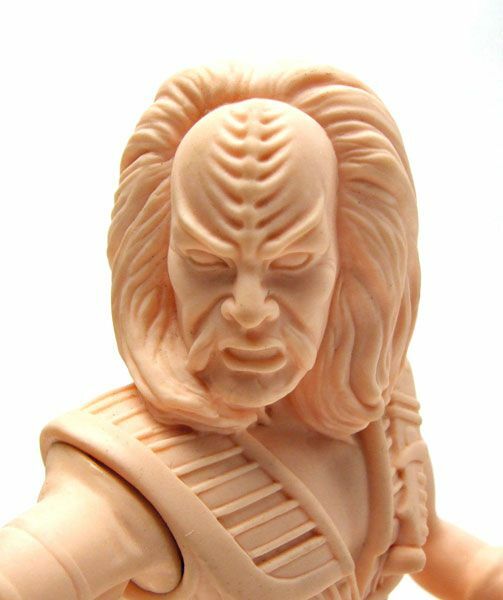 I just figured I had an extra and some TNG'er might want him... Just shoot me an e-mail with your name to potacontests@live.com and put "Tapestry Picard" in the subject line. I'll take e-mails until Monday September 28th at 12:01 a.m EST and then I'll draw one name at random. I'll cover the shipping if it's in the US, if not you'll have to cover it. Thanks! Otaku5003, it seems like you can see the details better when the figure ISN'T painted.